West Allis, Wis. (August 14, 1975) - Ramo Stott passed Butch Hartman with 15 miles to go and held on to win the 150-mile United States Auto Club stock car race at State Fair Park Thursday. 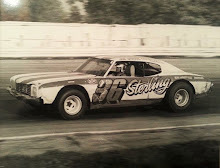 Stott, driving a 1975 Plymouth, battled Hartman bumper to bumper until the 141st lap on the one-mile oval, and then opened a three-second lead which he held to the checkered flag. 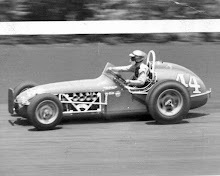 Stott averaged 91.084 miles per hour and won $3,824 of a $23,625 purse. Hartman, USAC season point leader, said he had to ease up because the brakes on his 1974 Dodge Charger were failing from the 80th lap on. 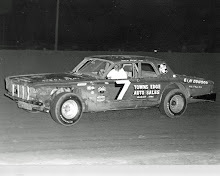 Sal Tovella of Chicago, who won last Sunday's 200-mile stock race here, led from the 100th through the 117th laps on Thursday but fell back when he pitted for fuel under the caution flag. 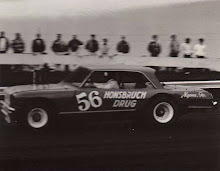 Tovella finished third, five seconds behind Hartman, in his 1972 Plymouth despite a collision with a car driven by Roger McCluskey on lap 124. 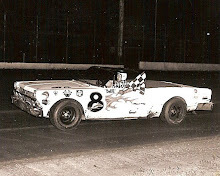 Ralph Latham, Cincinnati, was fourth in a 1975 Chevelle and Larry Moore, Dayton, Ohio, fifth in a 1974 Charger. The accident occurred on the south turn as McCluskey, slightly behind Tovella, swerved outside and back into the side of Tovella's car. McCluskey's car ricocheted against the wall and bumped it twice. McCluskey was shaken up but not hospitalized. His car was demolished. Tovella had to pit for repairs on the 127th lap because the collision caused the loose fender to rub against his right rear tire. “There was so much dust you couldn't see,” Tovella said. “The rule of racing is when you can't see you follow the car in front of you. 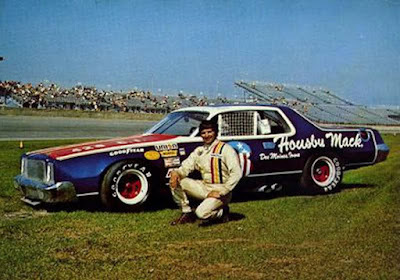 Jack Bowsher, who earlier had won the pole position with a qualifying speed of 107.784 mph, led until the engine of his 1973 Ford Torino exploded and forced him from the race after 29 laps. Stott, who has raced just about every circuit around, couldn't shake the worry from his mind until the race was almost over Thursday. He had some metal shavings in his engine and said he wasn't sure his car would even make the full 150 miles. Stott moved a little closer to Hartman in the USAC standings. Hartman has 1,340 points and Stott, who is in second place 1,260. The race, run before 13,200 fans, was one of the most competitive at the track this year, with door-to-door driving, first between Stott and Tovella and then Stott and Hartman. The yellow caution flag came out four times— the last time, on the 126th lap when McCluskey hit the wall. It was during that last yellow when Hartman, Tovella and Stott came into the pits and Tovella, who needed the fender repair, was the last man out. Stott took the lead on the 134th lap and widened his lead to win going away.